Kent State University Libraries use the Library of Congress (LC) classification system for organizing and shelving books. 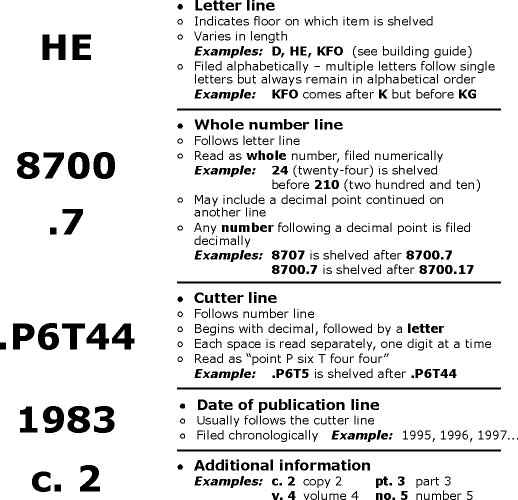 Each book as a unique "call number" composed of letters and numbers, which is used to determine the book's placement on the shelf, and to group it among other books on the same subject. Follow the model, descriptions and rules below. 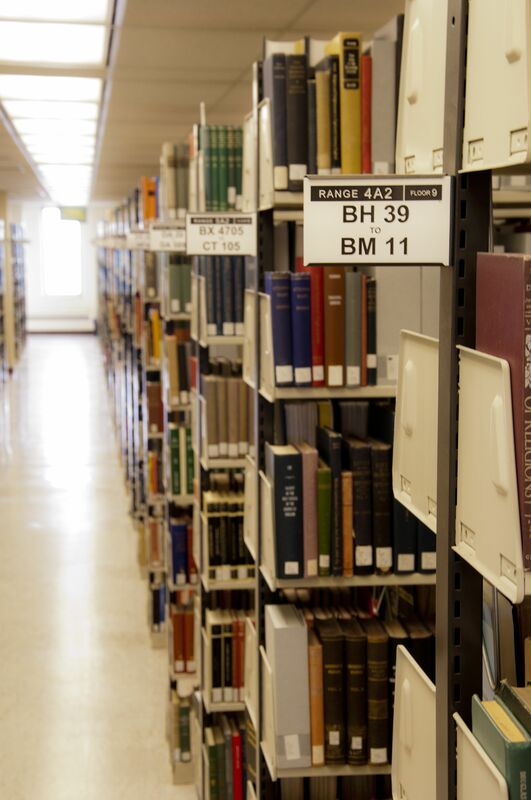 Periodicals, journals, magazines, and newspapers are shelved alphabetically by title on the 2nd floor. Microformats (microfilm, microfiche, etc.) are available through the Periodical Information Desk on the 2nd floor. Using the first letter line of the the code and this building guide, you can figure out where in the library an item is located. A complete list of the codes can be found here. NOTE: If you cannot locate a book on the shelf where it should be, try these other helpful tips. Items that you cannot locate may be requested through the KentLINK catalog. Requested items will be retrieved and placed on hold for you. Please ask at the Reference Desk or Circulation Desk for further assistance.